Home » celebrations » Coming Soon » Comments » Countries » Creatures » Featured Articles » UK » Supporting the British Bulldog! Hampstead’s festive fundraising event to rescue dogs from China. Ann Evans has the details. Lovers of the British Bulldog are invited to go along to Hamstead this Saturday, to support a major canine fundraising event. The aim being to raise funds to fly a group of British Bulldogs and a Bullterrier from awful conditions in China to find homes in the UK. The event is in aid of the Edward Foundation, a UK based, non-profit, charity, founded in 2011, which has helped Bulldogs at risk of abuse and used as a commodity. The event, on Saturday 8th December, starts at 1pm at the Duke of Hamilton, New End Avenue, Hampstead, and is suitable for families, with red-carpet photo opportunities, puppy play areas, limited doggie bags and lots of fun and fundraising. The Edward Foundation also helps families who have to give up their beloved pets for whatever reason and simply want to know they are being rehomed sensibly and responsibly. they have rescued over 1,000 dogs within the UK. 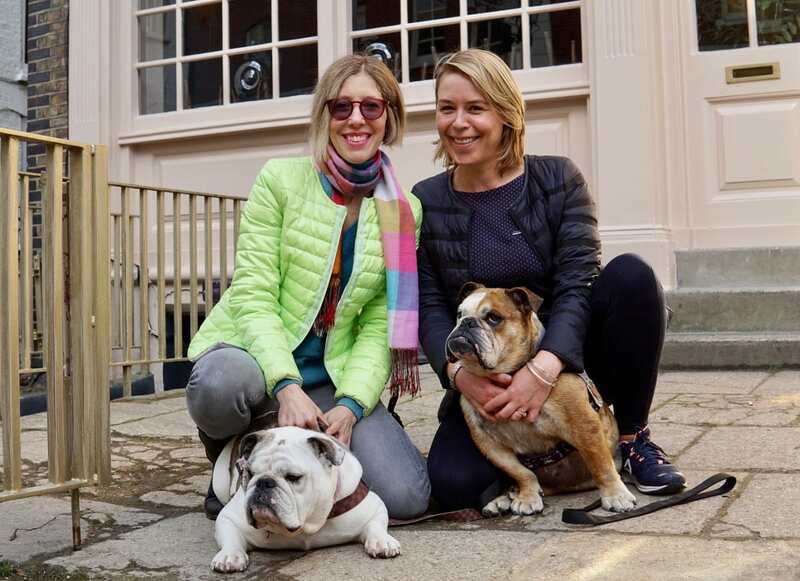 The event is the brain-child of Stacey James who moved to Hampstead from the USA last year with her British Bulldog, Clementine. Stacey regularly organised animal charity events back in her hometown of Frenchtown, New Jersey, and is excited to bring her first event to her adoptive country. The event organisers are encouraging an Instagram take-over on the day where people can post images of their own Bulldogs from across the world, watch videos from the event and share their comments. @cleverclementine, @hampsteadhounds, @theDukeNW3. The organisers are also encouraging as many British Bulldog owners to arrive on the day with their dogs. The charity event is also supported by family run Zasman Vet in Hampstead, and venue partner the Duke of Hamilton.